What's the difference between a Holiday or Vacation? Hinging on which side of the “pond” (Atlantic Ocean) you hail from, what comes to mind when you hear the word holiday may be different from those who live across the ocean. For people who are native to the United Kingdom, their British English term ”holiday” refers to a vacation or break from everyday life. For people who are native to the United States or Canada, however, the word holiday is used as a label for certain days in the year that are singled out to celebrate special occasions like Christmas, New Year’s Day, Easter, Mother’s Day, etc. A vacation to them, though, is the act of going away someplace to relax, unwind, seek out adventure or just have some fun while away from home. Whether you like to call your escapes from reality a holiday or a vacation, spending some time recharging your batteries is one of the best things you can do for yourself. It didn’t matter to Madonna that she was from the United States when she recorded her 1983 mega-hit “Holiday”. The song is not about celebrating traditional American holidays such as Easter or Christmas. Rather, it used the term holiday in the British way to express a celebration of fun and a reminder to take some time to escape the pressures and stress that may be in your everyday lives, just as you experience during a traditional vacation. Ever since the song was released over three decades ago, it has served as a reminder to indulge in a “holiday” from time to time to keep a healthy balance of work and fun in your life. Take the pop diva’s advice to heart and book your own vacation soon! If you have been dreaming of a blissful getaway in Mexico, there is perhaps no place as exceptional to visit as the Sian Ka’an Village in Quintana Roo. 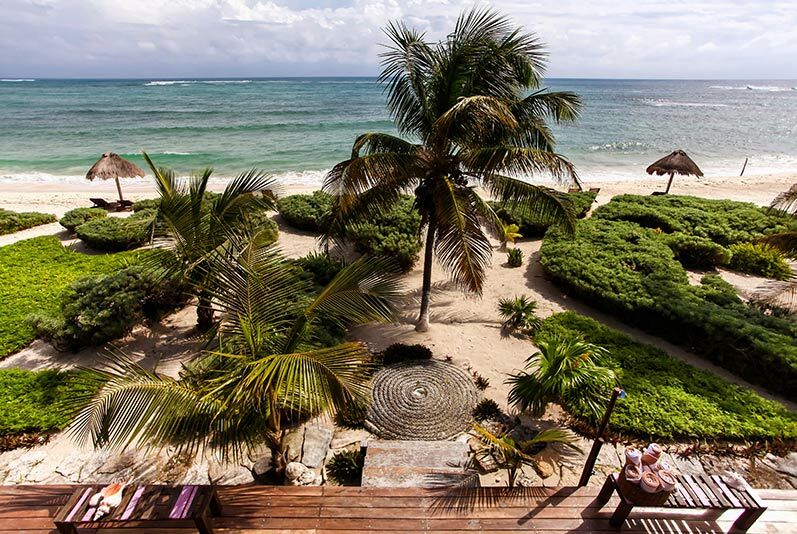 Situated along a secluded portion of the Caribbean coastline, this spectacular property will set the stage for the most amazing vacation of your life! The ultra-exclusive privacy of the resort, as well as the luxurious accommodations, exquisite cuisine and tranquil atmosphere will surely make you wish you could stay there forever. Whether you want to do nothing but relax and unwind in paradise or take part in activities like fishing, bike riding, paddle boarding, kayaking or snorkeling (to name just a few! 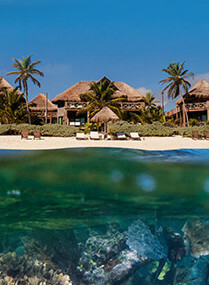 ), your holiday at Sian Ka’an can be custom tailored to your liking. When a sensational vacation experience is what you are after, look no further than this hidden gem on Mexico’s stunning Caribbean coast. It doesn’t make a difference if you call it a holiday or a vacation: a stay at the unbelievably luxurious Sian Ka’an Village, which overlooks the pristine waters of the Caribbean Sea, will undoubtedly leave you feeling completely in awe!